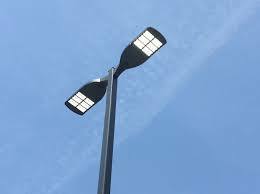 If you operate a parking lot or have a parking lot outside of your business, it’s important for you to provide parking lot lighting for your customers. Whether you are having an existing parking lot in need of new lighting now or need older parking lot lighting repaired and maintained, the team at Greenfield Signs & Lighting has you covered. It’s important to maintain a well-lit parking lot to help provide safety and security to a business, and whether you’re paving a new lot or looking to update your existing parking area, we offer a full range of commercial parking lot lighting solutions to help you keep your property safe and attractive to customers. Learn more online or call our team today to find out more.